The first few screenshots of Dead Space 3 have been leaked. 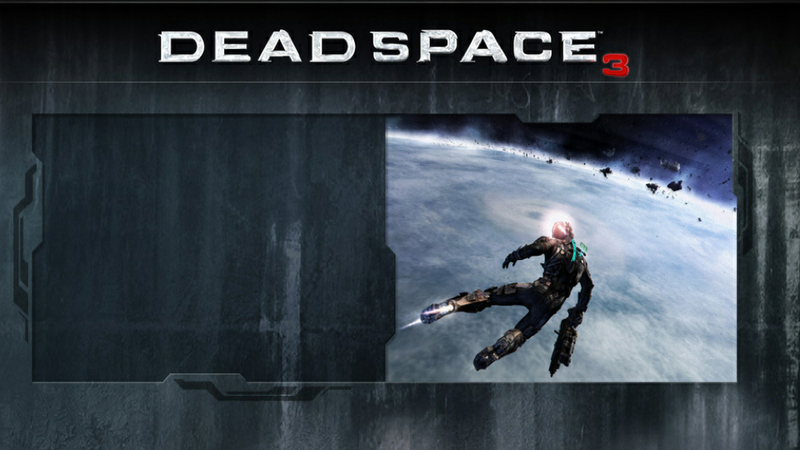 They depict what appears to be series hero Isaac Clarke and another unknown protaganist on a snowy planet. Could these screenshots confirm co-op? I certainly hope so, but @Shaihulude is less than excited about that possibility. I believe her exact words were "Aww hell no...god dammit." This morning I received a discount code for TERA that allows me 25% off when I purchase the game before May 31st. I have no plans of purchasing another copy of TERA, as great as it may be. The promo code can be applied to both the digital standard edition and digital deluxe edition. Since I won't use the code, I'm passing it along to you. If the game is purchased before May 31st, the purchaser can also receive up to 40% off their inaugural subscription rate and a set of the Golden Dragon weapon skins. I spoke with EnMasse support this morning and found a bit of a loophole for current players. When the game is purchased, players will get 30 days of free time. Before they can play, they must set up their account to automatically renew. By cancelling the auto renewal, players can then set up another subscription. This will grant them the bonuses listed above when their account automatically renews. I've said it before and I'll say it again, TERA's customer support is the best in the world. I went through the process with a GM this morning and they said I should receive the weapon skins when my account renews. I'm going to try again with another account to confirm and will post an update on the 31st when I should receive my items. After speaking with another GM, I was told that there is no need to cancel a subscription and renew it. The Golden Dragon weapon skins will be applied to every player's account that has purchased TERA before May 31st. I was then sent a link to their official statement. "Oooh, shiny! A thank you gift for those customers who've been with us from the beginning. A full set of cosmetic weapon skins available exclusively to all players that subscribe to TERA by May 31st, 2012. 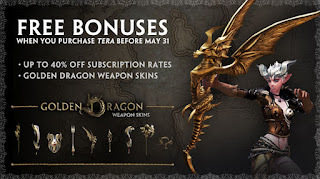 If you've purchased your TERA subscription by May 31st you will receive the Golden Dragon Weapon Skins when your free trial ends and your subscription billing begins. You'll find the full set waiting for you in Item Claim. These are at the account level, so you can use them for all your characters. Roll any class and deck them out! Note: Golden Dragon Weapon Skins can not be sold, traded or stored in bank." I never thought I'd review a Facebook game, but my review of Tower Worlds is up at www.gamingclimax.com! My review of RODE is up at www.gamingclimax.com! My preview of Tom Clancy's Ghost Recon Online is up at www.gamingclimax.com!